The Diplomatic Security Force (DSF), often known as I-3, was formed some years ago and has evolved and developed to where it is today. The DSF plays an active and unfortunately busy life in the service of this Principality and with a growing list of serving Members located both locally and around the globe, this active Force collects the Principality of Hutt River’s foreign and domestic intelligence, it also monitors and actively engages in operations against criminal activities, particularly those that affect the Principality and in all actions it co-operates with and seeks the co-operation and support of both Domestic and Foreign jurisdictions International Security and Policing services and Government Authorities, as well as provides an investigation and prosecution arm to support, protect and uphold the Principality Laws at an International level. The DSF provides PHR with a global capability to promote and defend national security and economic well-being of the Principality. I-3 is an acronym of the three divisions of the Force, those being the: Intelligence, Identification and Information Divisions. ensuring that the Force obtains and discloses information only in accordance with its statutory responsibilities. The Force also discloses information for the purpose of the prevention or detection of serious crime, or the purpose of criminal proceedings. methods of investigation must be proportionate to the threat and their use properly authorized. I-3 uses human and technical resources to meet these requirements, as well as liaison with a wide range of foreign intelligence and security services. To fulfil these obligations I-3 may work closely with other PHR intelligence and security agencies, the Armed Forces, Minister of State, Minister of Treasury and Minister of Foreign Affairs and the Office of the Sovereign as directed by HRH Prince Leonard or the Minister. Inquiries from the media are conducted through the Office of the Sovereign. Because of the delicate nature of I-3 work it is the policy of I-3 not to comment on operations, staff, agents, or relations with foreign intelligence services. I-3 does not have a press office. Members of the public who wish to contact I-3 members may do so and may at times be directed to particular officers as and when required. The DSF is operated under the authority of the Crown, and any Minister/s appointed responsible. to act in support of the activities of police forces and other law enforcement agencies, both internally and internationally in the prevention and detection of serious crime. The National Intelligence Machinery analyses and reports on threats to PHR interests, sets the requirements for intelligence collection, analyses the intelligence and supervises, funds and oversees intelligence collection. Intelligence collection is carried out by I-3 (mainly outside PHR). 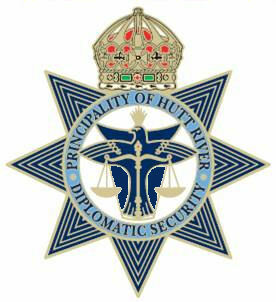 In the day-to-day operations the Diplomatic Security Force operates under the immediate control of the Director General, who has the statutory duty to provide annual reports on the work of the Service to the required Minister/s, who in practice brief HRH Prince Leonard regularly. Senior Ministers as appointed are responsible to HRH Prince Leonard for the conduct and activities of the Diplomatic Security Force (I-3). The Office of the Crown and any Minister/s appointed are responsible for the performance of the PHR intelligence machine as a whole. The Division Chiefs have a close knowledge of the most sensitive aspects of security matters of interest to PHR because they personally authorize the investigations the Service performs. The Director General also discusses matters of policy affecting the Service - for example regarding resources or relevant legislation. In carrying out this work the Director General is supported by and receives independent advice and information from officials in the PHR government who maintain close working links with him.